Our hope is to live and work in Buenos Aires between 10 months to 2 years. The length of our stay will depend on a variety of things such as jobs, income, health, comfort, etc. However it works out, this is going to be a long detour filled with adventure, many firsts, and unique stresses before settling down in the Midwest. The past 2 years and 7 months in Buenos Aires has not only exceeded the length of time we imagined staying, it’s also exceeded all expectations we had of the type of work we’d be doing, the level of friendships we’d gain, the flexibility we’d learn, and the size of family we’d be upon leaving. In part, because we want our son to grow up around as many family members as possible, we’ve decided now is the time to reach our destination. By the end of June 2014, we expect to be in Ohio para siempre. The details of our future are once again unknown, but we figure if we can make a good life for ourselves out of nothing in Buenos Aires, we can certainly do so in Columbus around a network of good people and great family. So much to look forward to! 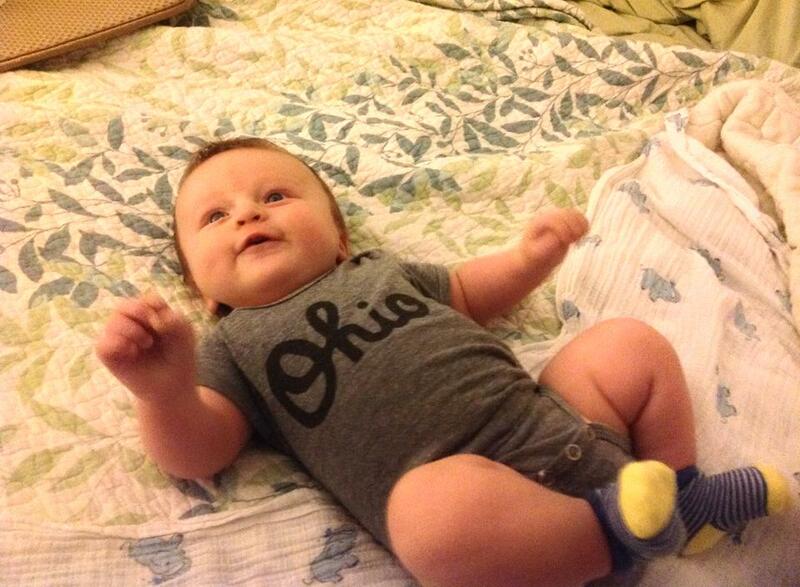 This guy can’t wait to become a Buckeye. Blessings to you in this next step in your lives! I am so happy that it has become such a great experience for you all. Enough experiences, stories and friends to last a lifetime. I miss you as before. God bless you wherever your new home will be. Best of luck! Glad to see you were able to fulfill all your plans. Hope to see you and the family in LA one day soon. Thank you for sharing your adventure with us. We look forward to hearing/seeing where God leads you. He is faithful to His word”…acknowledge Him in all your ways and He will make your paths straight.” Grandchildren and grandparents need to be as near one another as possible. Blessings to you three.